Star Boxing and Upstate New York's premier destination for legendary boxing are planning an explosive event for Friday, June 7 as part of the 30thAnniversary of Boxing Hall of Fame Weekend. In the co-main event, James McGirt Jr. will have added pressure for a victory to honor his father James McGirt Sr. being inducted into the Boxing Hall of Fame the same weekend.Boxing fans will also have an opportunity to socialize with Boxing Hall of Fame VIPs and inductees during Friday night's title fight at Turning Stone. Oneida Indian Nation Homelands (April 15, 2019)- Preparations are well underway as Central New York prepares to host boxing's biggest weekend of the year, International Boxing Hall of Fame Weekend. 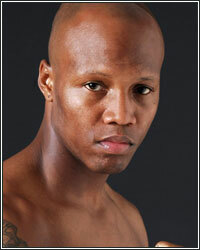 Star Boxing, in partnership with Turning Stone Resort Casino, today announced a new event for an already impressive boxing weekend - Zab "Super" Judah (44-9, 30 KOs) vs. Cletus "Hebrew Hammer" Seldin (23-1, 19 KOs). The fight will take place in the Turning Stone Event Center on Friday, June 7, 2019, as part of the 30th Anniversary of Boxing Hall of Fame Weekend. The evening's co-main event will feature James "Buddy" McGirt Jr. (27-3-1, 14KO's) facing off against David Papot (22-0, 3KO's), the same weekend his father James "Buddy" McGirt Sr. will be inducted into the Boxing Hall of Fame.